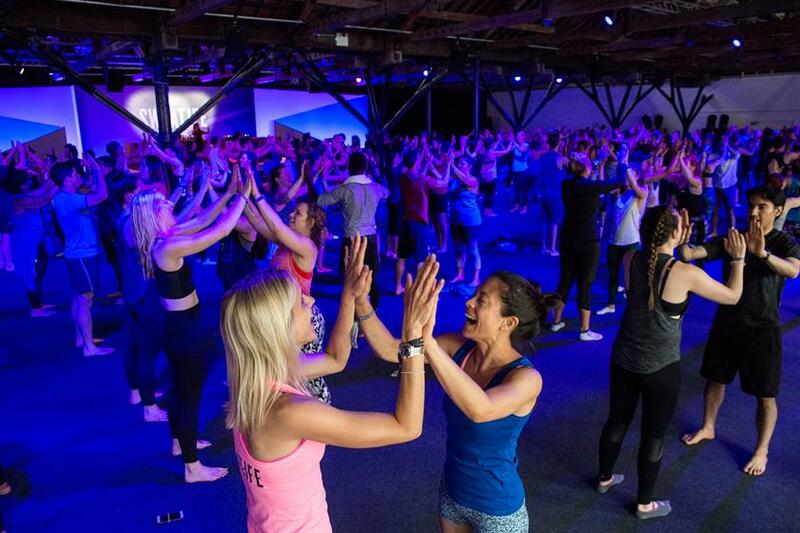 Lindsay Claydon, director of brand and community Europe at Lululemon Athletica, explains how holding relevant events helps create a community around the athletic apparel brand. "Experiential is our heritage. Taking a grassroots approach, we try and create experiences for our guests to live happy, healthy and fun lives, from our complimentary in-store yoga classes to large-scale events like Sea Wheeze and Sweatlife. This year, Sweatlife is taking place on 22 July at Tobacco Dock in London. It’s all about elevating our guests’ lives. "The channel allows us to interact with consumers face-to-face, meaning we can create a direct dialogue. We can then focus on building authentic relationships with our guests and creating vibrant communities from day one. Community informs everything from our store design and concept to the experiences we plan, investments and products we offer, which has set us up for strong global growth while maintaining local relevance. "As with any event, we’re always striving for bigger and better than before. That comes from us; as a company our culture is rooted in vision and goal-setting. This is amazing as it means we are always working to achieve the best possible experience for our guests. We always like to ensure we are doing what is relevant to and wanted by our guests, so staying in regular conversation with them on what new sweats they are doing, new studios they are going to, always sets us apart. "Experiential leaves the guest with a deep understanding and sense of what Lululemon is about. Our thinking is that it’s not enough for us to tell people to live an active and healthy life – we want to show them how to do it too. All of our events are inspired by activities that we do ourselves. For example, the ‘OM the Move’ meditation bus (launched to celebrate the opening of our European flagship store on Regent Street), came about because we practice meditation as a company. The same with our current campaign, ‘This is Yoga’. The purpose of this is to introduce and elevate the power of the practice of yoga, taking it beyond the mat. This is something that has been at the core of our brand and culture since our conception nearly 20 years ago." View the full Brand Experience Report 2017 here, plus the top 45 agencies list. As part of the report, we also spoke to brand managers from LG, San Miguel, Jameson, Time Out, Volvo and The Economist on their experiential strategies. More: This year's Brand Experience Report also includes Brand Experience Report 2017 – Top 13 stats and an overview of the report on The age of integration, plus a Stats overview. For your daily hit of news from the brand experience community, weekly brand updates and your monthly trend download, register and subscribe to Event and our bulletins.